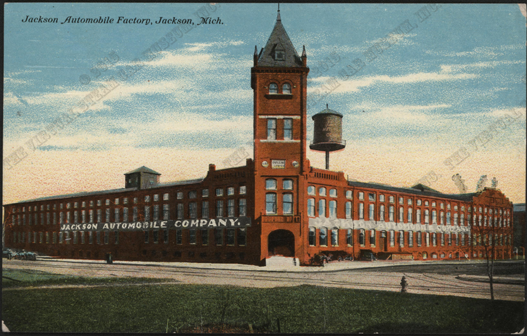 For their [sic] first year of production this company made both steam and gasoline cars, both called Jaxon. 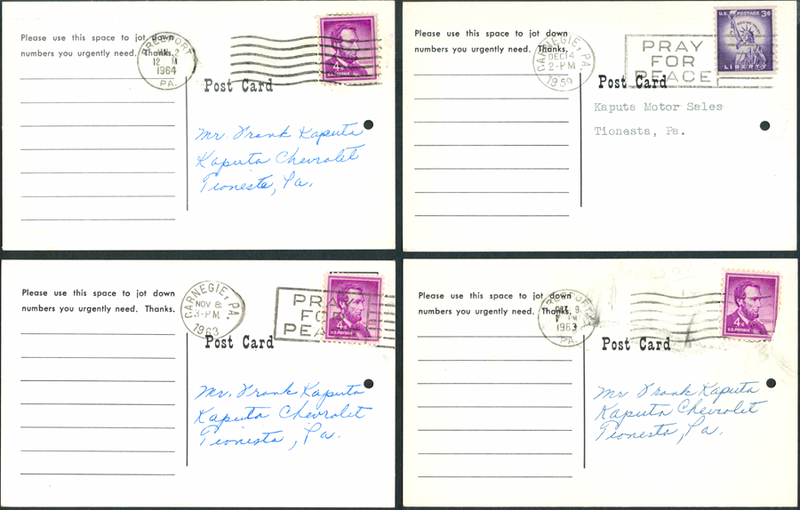 The steamer used a 3-cylinder vertical engine of 6 hp, chain drive, and a folding seat. It was out of production by 1904. 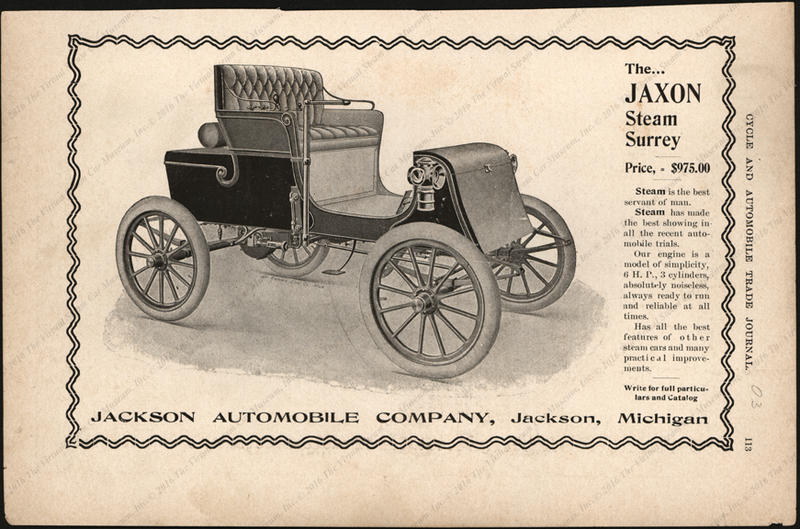 In 1903, the Jackson Automobile Company placed this advertisement on page 113 of The Cycle and Automobile Trade Journal. 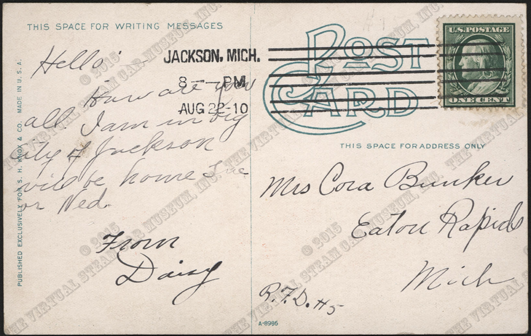 This postcard is postmarked August 22, 1910, long after th Jackson Aubomobile had abandoned its steam cars. 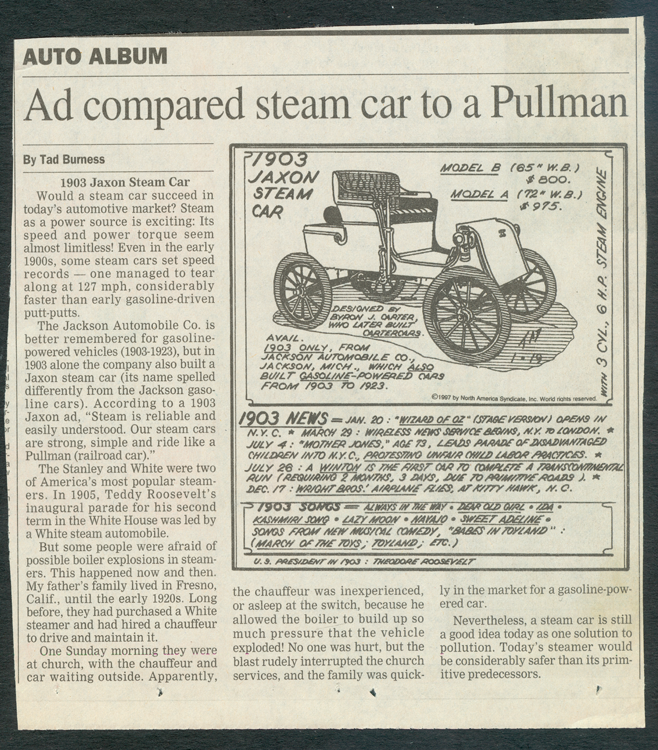 Tad Burness' Auto Album feature on the 1903 Jaxon Steam Car. 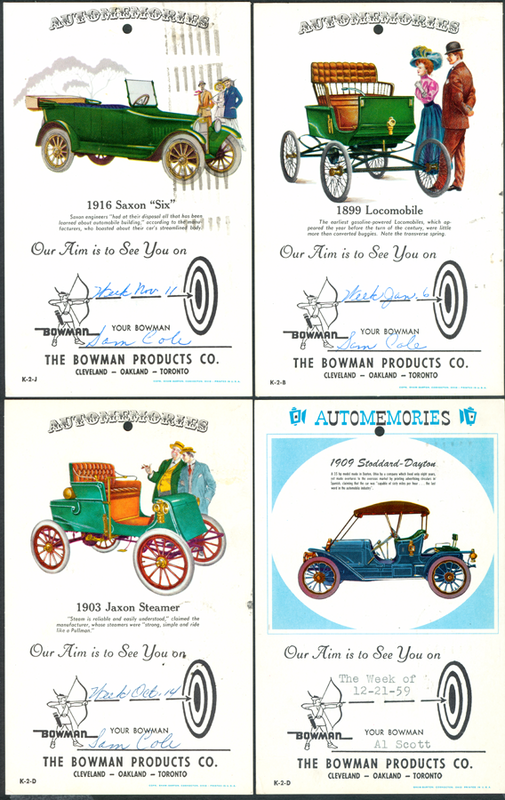 These four Automemories advertising postcards featured the 1903 Jaxon Steam Car as well as the 1899 Locomobile Steam Car. 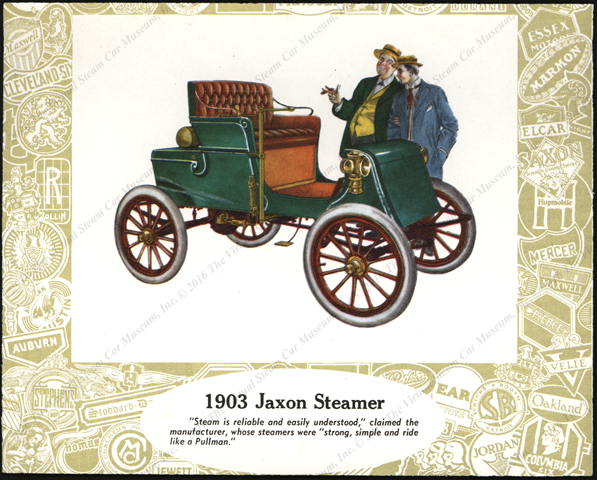 This calendar print featured the 1903 Jaxon Steamer. Georgano, G. N., Encyclopedia of American Automobile, (New York, E. P. Dutton & Co., 1968), p. 105.